Dr. Waggoner has published poetry and short stories in French, Belgian and American journals and has won numerous awards, including the Jasmin d’Argent awarded by the city of Agen (France). La mer attendra was published in by the Centre de Création Littéraire in Grenoble. A recent short story appeared in The World’s Muse (University of Washington) in 2006. At present she is preparing a book of short stories for publication. Current literary projects include an anthology of Louisiana French literature and a critical edition of short stories of Louisiana judge Felix Voorhies. Two events sparked what has become her passion: the defense and preservation of Louisiana French music and literature. Years ago, with colleague Barry Ancelet she co-directed the play Mille Misères, written by Jennings native David Marcantel. At that point her interest in the Louisiana Cajuns was born, and she began to research the plays written and performed by a theatre troupe of the area which had just been formed. Her research resulted in the definitive history and anthology of contemporary Cajun theatre entitled Une fantaisie collective: Anthologie du drame louisianais cadien which was published by the Center for Louisiana Studies in 1999. Then in 1990 as a singer-dancer in the folkloric performance troupe La Compagnie Louisianaise, she performed Cajun songs and dances for enthusiastic audiences in twelve cities in France. As a result, she gained knowledge and insight into Louisiana Cajun music and the way Cajuns are viewed by the French. More importantly, she gained a respect for Louisiana traditional Acadian music which she then began to arrange. 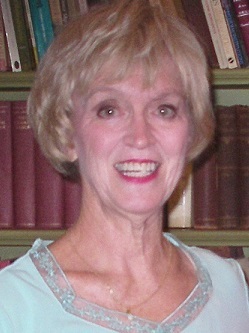 As member and later director from 1991 to 2007 of the Louisiana Acadian folkloric troupe Renaissance Cadienne, she arranged and choreographed over fifty traditional songs and dances. She researched the dances and songs brought to Louisiana beginning 250 years ago from Africa, Canada, the Canary islands, Germany, and Poland, as well as France. Under her leadership the troupe made ten tours and performed in festivals in the United States, France, Belgium, and Canada, including the New Orleans Jazz Fest, Festival International, Festivals Acadiens and the Louisiana Folklore Festival in Nachitoches. She supervised the creation of three CDs of early Louisiana music, produced by Cap Rouge Studios in Scott and by Rock-it Studios in Kenner. Some of the cuts are not available through any other source. Her article on the development of Cajun and Creole dance, “Louisiana Gumbo: Retention, Creolization and Innovation in Contemporary Louisiana,” appears in the dance encyclopedia Ballroom, Boogie, Shimmy Sham, Shake: A Social and Popular Dance reader, (ed. Julie Malnig: University of Illinois Press 2008). Music is Dr. Waggoner’s passion. She is a charter member of Chorale Acadienne, where, in addition to singing, she also teaches French diction, and is a member of the choir of the Cathedral of St. Jean the Evangelist. In 2007 she researched and presented a program of music sung, written, and danced during the lifetime of the Marquis de Lafayette under the auspices of the Acadian Arts Council for Vermilionville’s observance of his birthday. She is secretary of Fondation Louisiane, which awards scholarships to Louisiana students for study in francophone countries. She has organized tours and hosted numerous groups from Belgium, Canada, and France in her home, including a group of fifty the Friday after September 11. When they were not sure they could fly out of the country, she organized lodging for the group under the auspices of Renaissance Cadienne. Dr. Waggoner received the Volunteer of the Year Award in l988 from the Acadiana Arts Council and the Prix de Louisiane, given by CODOFIL, in l999. CODOFIL chose her to receive its Honorary Cajun Award in 2004. IN 2005 she was named to the Hall of the Famous , an award given by the high school where she graduated. She has been awarded the Laborde-Neuner professorship in Francophone Studies at the University of Louisiana at Lafayette. She was inducted into Maggior Frairia de Roc Amadour (the Royal Order of Roc Amadour,) in France, in 2001, and holds the rank of Noble Dame. She and Renaissance Cadienne received VermilionVille’s Acadian Culture Preservation Award in 2002.